I have a bit of fun news to share. There is now a newsletter archive section in the membership site. You will now be able to have access to all of the previous news letters written by Lao Tsu McNeil in one convenient space. If you have purchased any of the information products you will have access to the new archive section when you sign normally here: https://littlenineheaven.productdyno.com. Currently, I only have 2018 archived, but I will soon be adding additional years as well. The current newsletter will now only be available from the following link: https://littlenineheaven.productdyno.com/p/776/l9h-newsletter. The November and December letters are in there on the multi-part China trip letter. I will keep the multi-part letters toghether there before archiving them. 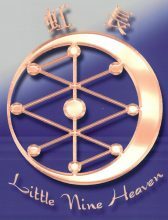 In addition to the above, I am working on a affiliate program for all of the information products sold by Little Nine Heaven. You will soon be able to sell and earn a commission by selling the products to your students or through your websites and emails lists. I will be starting out with Medicine Within Our Bodies first, and expect to have this completed by the new year. We may end up raising the price for this ebook. That’s all for now, so please stay tuned for more updates!